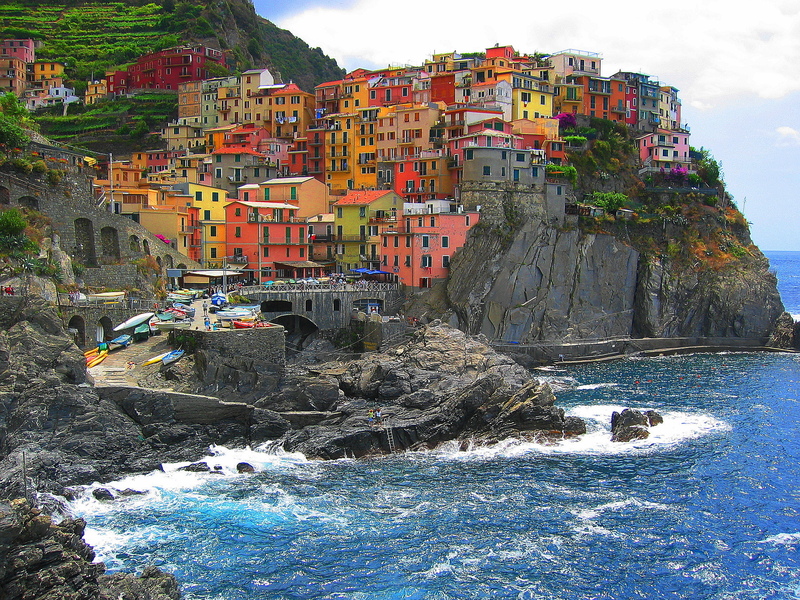 Ancient village of the Ligurian Riviera of Levante, Manarola is one of the so called Cinque Terre. 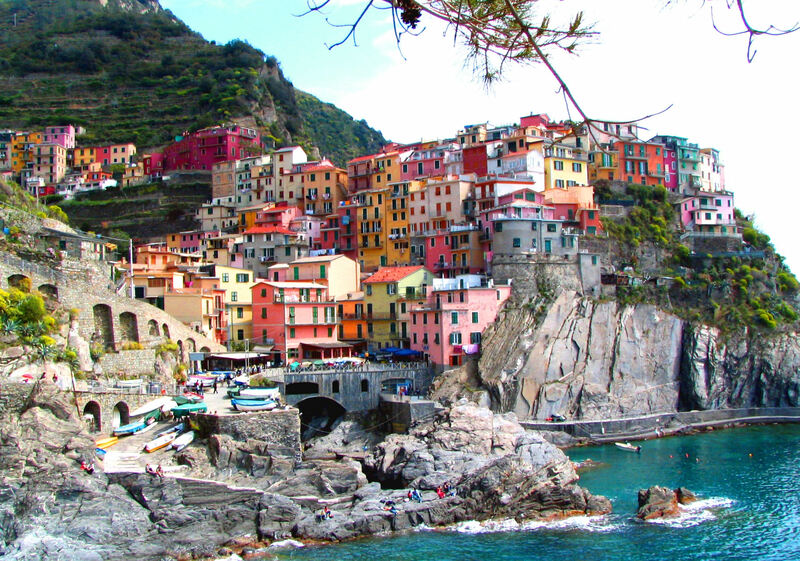 It is an urban jewel embellished by colorful houses consist of typical genoan houses towers that overlook to the main street, obtained from the coverage of the watercourse. 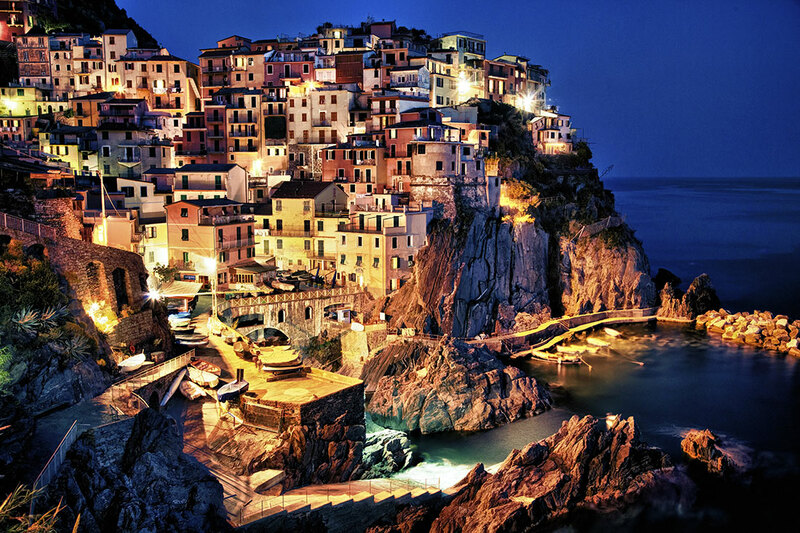 The village climbs on a rocky spur that juts out over the sea, resulting in a network of narrow alleyways, narrow streets, which run parallel across multiple intermediate levels connected by stairways irregular slate. 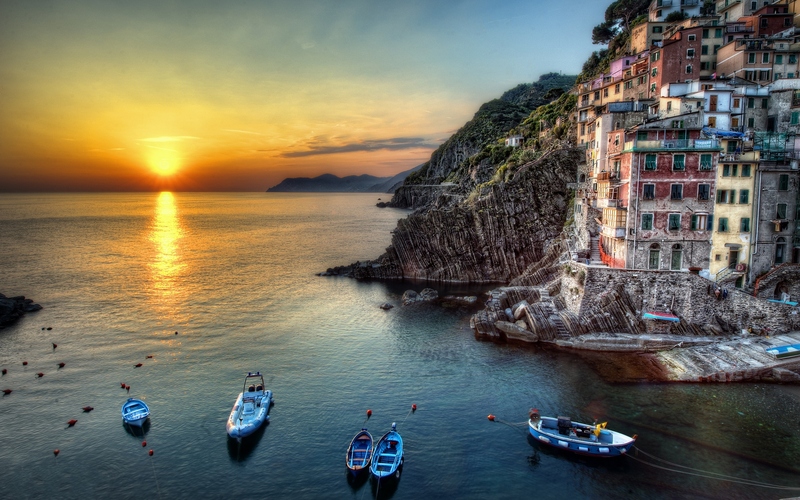 The main monument of this beautiful village is the church of San Lorenzo, which dates back to 1338 by the inhabitants of Manarola and Volastra . Also important is the bell tower detached from the main body of the church probably because, originally, had defensive duties.